There has been considerable confusion over the correct usage of the name Ziziphus jujuba. 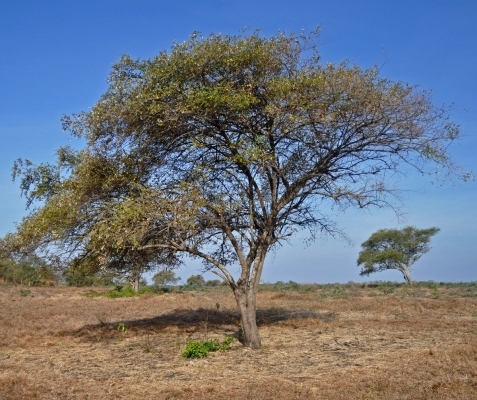 It has often been misapplied to Ziziphus mauritiana (as Ziziphus jujuba (L.) Gaertn., and Ziziphus jujuba (L.) Lam.) based on the original name for that species (Rhamnus ziziphus L.). However, when that species was transferred to the genus Ziziphus in 1788, the name Ziziphus jujuba was not available for use because it had already been used in 1768 to describe the temperate species from China. It has been agreed (Taxon 60: 1212. 2011) that the name Ziziphus jujube Mill., as applied to the temperate species from China, should be conserved and, therefore, the tropical species is properly named Ziziphus mauritiana Lam. Close up of flowers,immature fruit, leaves. E. Asia - China, India, Sri Lanka, Nepal, Bhutan, Myanmar, Thailand, Malaysia, Indonesia to Australia.